Step 1. 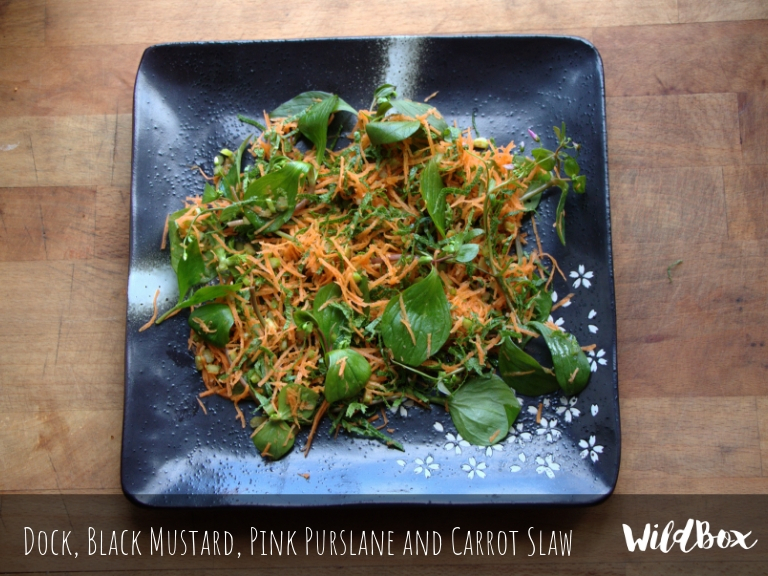 Finely chop up the dock stems and slice the black mustard leaf, finely grate the carrots and combine with the pink purslane leaves. Step 2. Dress and season!